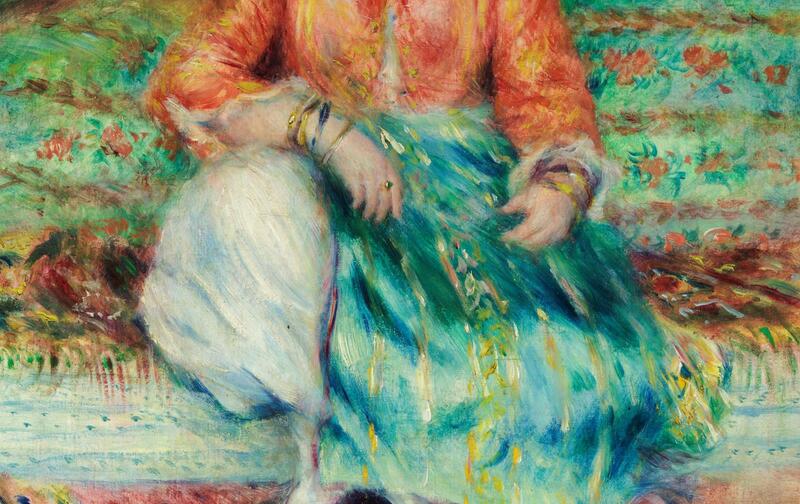 Renoir traveled to the French colony of Algeria twice in 1881, seeking the dazzling light and exotic subject matter made famous (and marketable) by Eugène Delacroix, a great Romantic painter, some fifty years before. 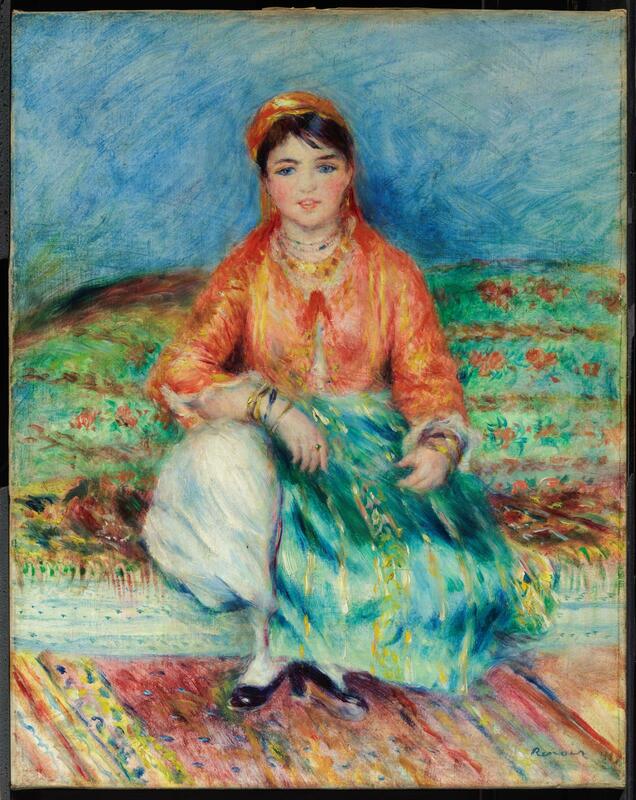 Frustrated by the reluctance of Muslim women to pose for him, Renoir often hired Pieds-Noirs—French nationals living in Algeria—to pose as models, dressing them in native costumes and darkening their hair with his brush. Siblings Robert (d. 1924), Hannah (d. 1929), and Grace (d. 1938) Edwards were each collectors of art, who seemed to have had joint ownership of the objects in their possession. When Robert died, he bequeathed his collection to the MFA in memory of their mother, Juliana Cheney Edwards. In 1925, after his death, part of his collection was acquired by the Museum, and the remainder went to his sisters, with the understanding that the objects would ultimately be left to the MFA in the collection begun in memory of their mother. The collections of Hannah and Grace were left to the MFA in 1939, following Grace's death. 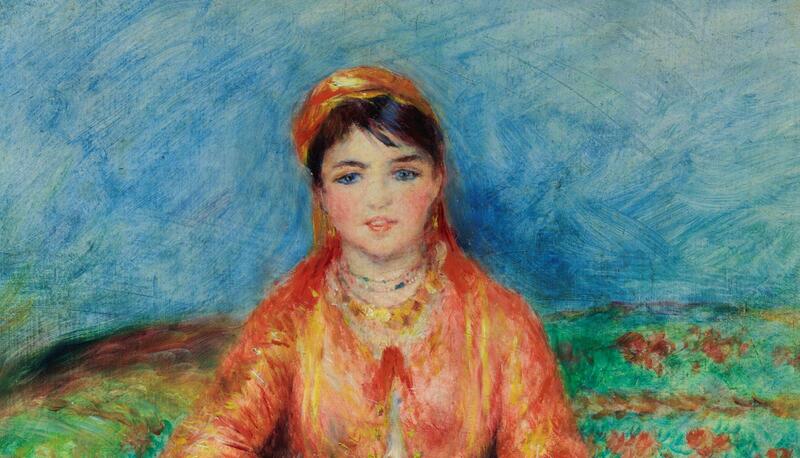 It is not always possible to determine exactly which paintings each sibling had owned.